and for over 65 years Princess Hair Designers has been bringing out the real beauty of its clientele. Through advanced technology Simply Smooth has created a patented pending formula. A rich blend of the highest quality keratin derived from botanicals and human hair, which are completely compatible with our own hairs structure. 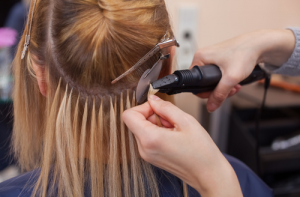 These two types of keratin increase the performance of the keratin treatment by being able to work on the outside of the hairs structure as well as deep within the cuticle providing a better smoothing performance through a more gentle and natural healthier process. 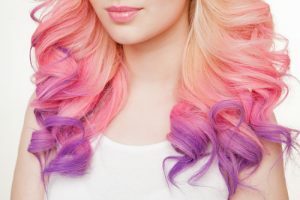 Young women around the world have gotten fed up with how good older silver vixens can sometimes look with their gray hair and have started dying their hair gray as well. Whether it's an act of jealous appropriation or a tacit nod to the older ladies that know how to rock their silver locks, this gray hair trend has a way of turning heads. Whether you're young or old, we want to see your gray hair photos! 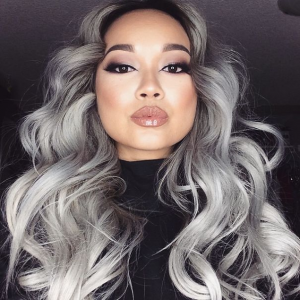 Add your #silverhaircolor selfies to this list and upvote your favorites! We have the most up to date and highest quality natural hair extensions available. Please call to set up a consultation. Traditional men’s cutting as well as modern, trendy styles. We offer the best men’s haircuts and grooming needs around.